This is where Tech meets Fashion ~ Gadgetry meets Convenience. New technologies like low power LEDs, micro sensors, and conductive fabric are all converging to create a whole new industry. 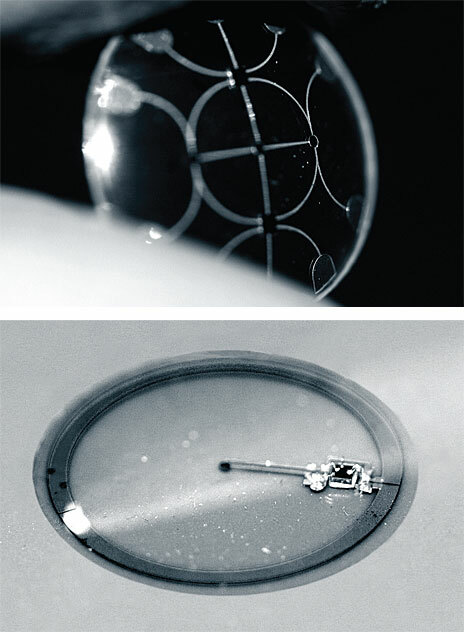 Already, electronics are being wired into apparel. For athletes and patients, there are heart rate monitors unobtrusively incorporated into shirts. 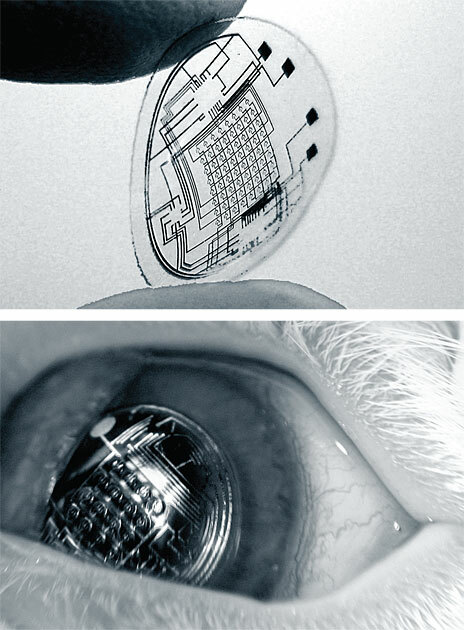 More complex monitors – from blood pressure to glucose levels – are also being designed. Even mainstream media outlets, like CNBC, are projecting this new trend will become a huge industry. For fashion, there are dresses that actually change their color. A famous London Designer, Amy Winters, wires her dresses with fiber optics and various sensors, including motion and proximity. Wiring fiber optics enables the apparel to change color on command. Winters says, “If you feel like having purple, the dress will be purple. If you later feel like having red, you have red. You just look at the sleeve and decide what color you want.” Because of the sensors, the apparel Winters designs can also be set to change automatically. For a performer, it can change when they jump, dance, or take their solo. For nightclub apparel, the colors and luminosity can change to match the beat of the music. 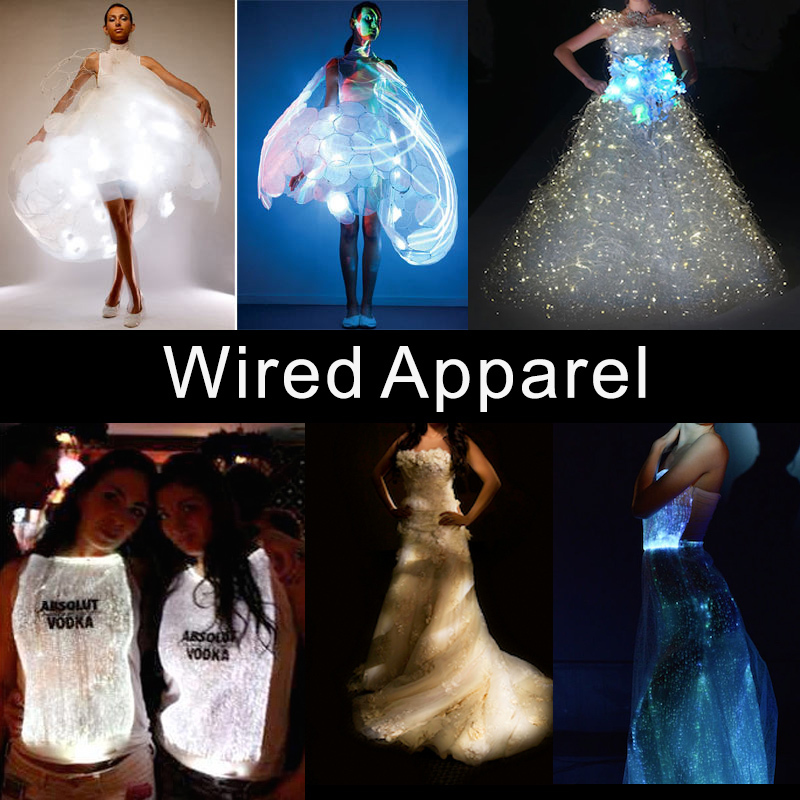 By incorporating low power LEDs, designers have created dresses that exude a soft glow for dramatic weddings held outside at night ~ or indoors with low ambient light. For day to day apparel, people often wear shirts with company logos. Now, companies like Absolut Vodka are promoting their brand with logos that are brightly illuminated.